Being a 15-year professional lacrosse veteran, my offseason training program is usually based on my health the previous season. Unfortunately for me, last season I strained my hamstring during game five, which was frustrating because I was playing at an extremely high level. Coming off ankle surgery the previous offseason (had surgery right before the 2017 season), I was really excited to play at 100%. And for those first four games, that’s what I did. But the hamstring injury lingers. Some days it felt OK, other days it felt tight and like it was going to go again. Just the nature of that injury and the short window you’ve got to recover between games. For me, this offseason started with a nice long break. Pick-up basketball, stationary bike, yoga, and light training is what I did for the first two months of the offseason. I had been going 100 miles an hour trying to frantically get my hamstring able to play for the entire second half of last season, so, my body, and mind needed a real break. But then November 15th came which meant it was time to get back into training mode. I moved back to Maryland, and luckily, Coach Jay Dyer lives there where is his training facility is located. Coach Dyer was my strength and conditioning Coach during my time at Johns Hopkins University, and my strength Coach during my time with the US National Team, so I’ve got a great rapport with him, and he’s one of the few folks I trust to do whatever he says when it comes to training. The first month was TOUGH! We did a variety of exercises that focused on my legs and core, with a mix of shoulders and chest every now and then (I HATE PULL-UPS). I’ll post one of my workouts at the end of this so you can give it a shot! Lastly, when it comes to offseason training, understand EVERYONE will be different. I’ve been around guys who don’t take any time off after the season and go right back into it. I’ve been around guys who need months off before they can get back to training because their body needs time to recover. Make sure to take the time to self-evaluate, and speak with your coaches to find out areas that you can improve. 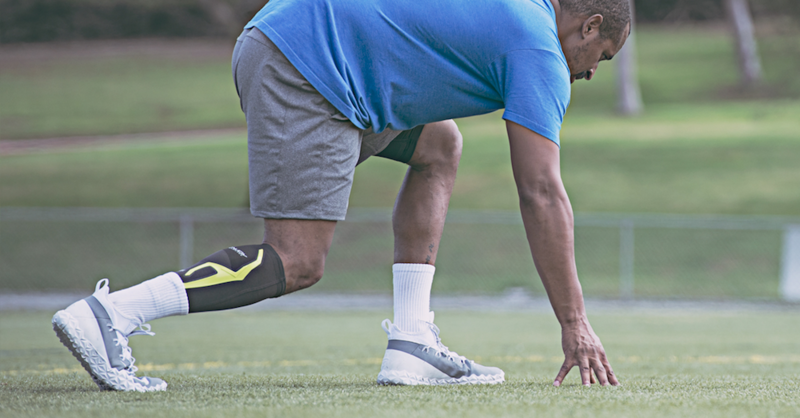 Offseason training isn’t just time in the gym, your skill work is just as important. In a sport like lacrosse, if you don’t have your stick in your hands getting shots up or stick work in multiple times a week, it really does take a bit to get it back into the swing of things. I’m finally 100% healthy and training with the strength coach who played the most significant role in making me the player I am today. Offseason 2018/2019 will be a tough one, but I’m locked in for the challenge. In the meantime, give this work out a try. Good luck training this offseason!